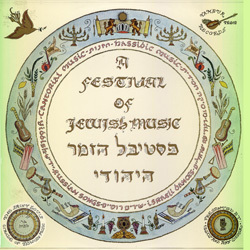 Notes Cantor Leon Lissek, who served as the president of the St. Louis Circle of Jewish Music during 1983, when this was recorded, invited a number of fellow cantors and local musicians to fashion a bouquet of Jewish music, consisting of Hebrew, Yiddish, and English songs. You can hear the results on this recording which is rich and multi-colored in terms of its style, content, and performance. With outstanding solos by Cantors Lissek and Fogel enhanced by tasteful and appropriate accompaniment, the music is sure to delightful the listener.